About WiserU, the WiserU Career System and Kathy Bernard, WiserU's CEO and the creator of the WiserU Career System, the turnkey system that trains college graduates to land high-paying career jobs. WiserU empowers businesses, conferences, colleges, and job seekers to excel! WiserU for Businesses -- Organizations hire WiserU's CEO Kathy Bernard to train their executives, sales teams, recruiters, or fundraisers, to master LinkedIn to grow their business and reach prospects. Learn more. They also contract with Kathy Bernard to facilitate talent shortage discussions or to speak on the topic. They also hire WiserU to craft their company page, improve their LinkedIn profiles, and post and prospect on LinkedIn. Learn more. Employers and industry associations contract with WiserU to customize the breakthrough WiserU Career System to prepare top candidates to be outstanding hires and the right cultural fit for their company or industry. Or, they work with WiserU to train their exiting employees to land new jobs quickly. Contact WiserU to learn more. WiserU for Conferences -- Trade show organizers, like the SEMA Show, MWACE, and MDMC hire Kathy to train their members to excel at LinkedIn for business or career. Shows like the SEMA Show also enlist Kathy for the entire run of the show to review members LinkedIn profiles in its Career Center. Have Kathy train your show attendees and review their LinkedIn profiles! WiserU for Colleges -- Colleges hire WiserU to lead career and LinkedIn training sessions and to provide the WiserU Career System to their students and graduates. This effort helps their graduates land good jobs and it helps the college raise its overall graduate salary score on the Federal Government's College Scorecard site. Learn more. WiserU for Job Seekers -- Career groups hire WiserU to train their members on how to land a job and maximize LinkedIn. Individuals enlist WiserU for career coaching, interview preparation, and LinkedIn training and to maximize their LinkedIn profile, improve their resume, and research and reach recruiters on their behalf. Learn more. For job seekers seeking a web-based training solution, access the WiserU Career System. WiserU is about making you WISER for business or career, so check out our training and service options today! Kathy Bernard is the CEO of WiserU, LLC, as well as a gifted speaker, LinkedIn expert/trainer, author, and career coach. She trains groups and individuals to maximize LinkedIn for sales, marketing, recruiting, or job search. Bernard is also a leading speaker on getting job seekers into high-paying careers and is the creator of the groundbreaking WiserU Career System to land and excel at high-paying jobs. Before launching WiserU, Bernard was an award-winning communications leader, racking up 27 awards with Enterprise Holdings, CBS Radio, Caleres and the (Ag) Equipment Dealers Association. She has personally career coached 1,000+ job seekers, reached over 1.4 million people through her popular WiserUTips.com blog, and led more than 500 weekly webinars on JobTransition.TV. 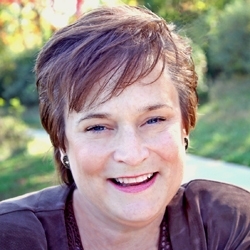 Kathy is also a speaker, consultant, and author on Pain Points in the Talent Pipeline. She works with industries and companies to address talent shortages. She delves into the resources to narrow the talent gap and shares best practices to stop the shortage. Contract with Kathy to fix the pain points in your talent pipeline and get your organization fully staffed. 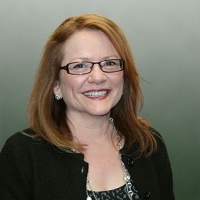 Susan Lopez is the Vice President of Account Management and Business Development for WiserU. She leads overall sales, business development and marketing for the organization and serves as account manager over several corporate and college clients. Susan also works closely with incoming WiserU business and career clients and is an accomplished resume creation/optimization specialist. Prior to working with WiserU, Susan had successful stints with major St. Louis and Chicago-based corporations where she managed sales and marketing to Fortune 500 companies. Susan works with business clients in the Accounting, Advertising / Marketing / PR, Aerospace / Defense, Associations, Automotive, Banking / Trust, Chambers, Chiropractors, Cities / Municipalities, Colleges / Universities / Education, Corporations, Government / Politics, Healthcare, Hospitality, Insurance, International, IT / Tech, Law Enforcement, Nonprofits, Recreational, Religious, Telecommunications, and Veterinary industries. Contact Susan at 847-606-5160 or susan@wiseru.com. Dori (Doris) Dorsey is the Director of Sales and Business Development for WiserU. She works with clients in the Ag, Airlines, Architecture, Arts, Biotech/Chemicals/Medical Devices, Coaching, Construction/HVAC, Consumer Goods/Products, Engineering, Equipment, Energy & Oil, Financial Services/Investments, Food Production, HR, Law, Leasing, Manufacturing, Media, Packaging, Pharmaceuticals, Printing/Publishing, Property Management, Real Estate, Recruiters / Staffing, Rental/Leasing, Restaurants, Retail, Sales Organizations, Sports, Startups, Transportation/Transit, Trust Companies, Utilities, Warehousing, and Wine & Spirits industries. She is a consummate relational sales and business development professional with advanced experience with business and consumer clients. Contact Dori at 314-402-1979 or doridrew@sbcglobal.net. Tim O'Sullivan is a Vice President of Account Services for Companies and a public speaker on a variety of subjects. Prior to working with WiserU, Tim was an attorney who specialized in business law. As co-founder of Tigerhawk Entertainment, LLC, he has been involved in a number of entrepreneurial endeavors. Most recently he has worked to secure funding for a legal and sports-related app and a political-funding site. Tim is based in St. Louis, Missouri, but serves WiserU corporate clients across the country. Contact Tim at 314-952-3288 or tim@wiseru.com. WiserU partners with companies and colleges to administer the WiserU Career System to their job candidates or students and graduates. When graduates’ scores improve, so does the college’s overall salary score on the U.S. Government’s College Scorecard site used by prospects. Learn more about providing the WiserU Career System to your interested job candidates, or your students/graduates, or contact info@wiseru.com. Visit the WiserU Tips blog Now! Read about WiserU or its CEO Kathy Bernard. Articles include relevant career and LinkedIn media coverage and articles written by Kathy or about Kathy's WiserU Tips career seminars and services. EQ — What if St. Louis Solved the Talent Shortage Better than Any Other City? St. Louis Post Dispatch -- Are You Forgetting the Obvious? These quick links can connect you to corporate, college and career services to help you get the business or get the job. Job Sites -- Dozens of national and St. Louis job sites with live links to take you directly to top job sites. Salary Sites -- Check your salary range for the jobs that you want and learn the cost of living for your target cities. LinkedIn Banner Images -- WiserU provides stock and custom-made banner images for the top of your LinkedIn profile. Emerging Leaders Organization -- Networking and tools for personal growth and to create your exceptional life. Ilostmyjob.com -- Find job search resources, sign up for free job help webinars and more. Made for Freedom -- Your purchases help to end human trafficking and help survivors. Infinite Scholars -- Connects U.S. students with scholarship and financial aid from participating colleges. Epro 360 -- Global scholarships to U.S. colleges and a network of mentors for international students. Claim Academy -- Learn to code affordably! 95% placement rate. $58,000.00 starting salary. Caren Libby -- Web design, marketing and photography. Nancy Nix-Rice -- Image/fashion consultant. In person and virtual style consultations, classes and programs. EvalX - Create online surveys or a better higher education course evaluation system. Career Center Toolbox -- Organize your job search with tools, webinars and resources. Kelly's Collectibles -- Ebay consignments. Top-rated seller known for fast shipping and excellent customer service. No Sweat! Public Speaking with Fred Miller. Develop, practice, and deliver a great presentation with no sweat! Carol Watkins Coaching -- Life after 50 life coaching. Resources from How to Get that Job -- Particularly relevant resources and services for U.K. job seekers. Team Player HR - Colleague matching assessment tool. Dave Yeates Ireland Tours -- You gotta go! The BEST tour director on the Emerald Isle. Form Swift - Access job applications for hundreds of different companies. Of Course Scheduling - Simplified course scheduling for schools, colleges and law/graduate schools.